Here in Dubai, seasons are a little upside down when it comes to gardening. The summers are far too hot for anything to grow. One has to wait for the end of the summer which is normally around October. It’s still hot, don’t get me wrong, with about 35-37 degrees at midday. But everyone who has lived through a whole long Dubai summer with 45+ degrees and/or humidity of 70+%, will know what I am talking about. End of summer in sight also means that my son and I plant tomato and herb seeds in the garden, and then water and watch them everyday until we finally harvest around February. Last week, when I pulled out the pots from last year, I find two enormous basil plants who have survived in the shade of some flowers that have been planted there for the summer. The basil leaves were enormous and quite strong in taste. Not to be used as fresh herbs on tomatoes and mozzarella or something like that. But surely good enough to make some nice pesto. Freshly home-made pesto just beats absolutely everything. I had it it with spaghetti for dinner last night and for lunch today. There is still some left which will sure be used somehow for tomorrow’s lunch or dinner. Can’t get enough of this and will surely plant more basil in my garden this season. Pesto serves 6. Spaghetti serves 2. 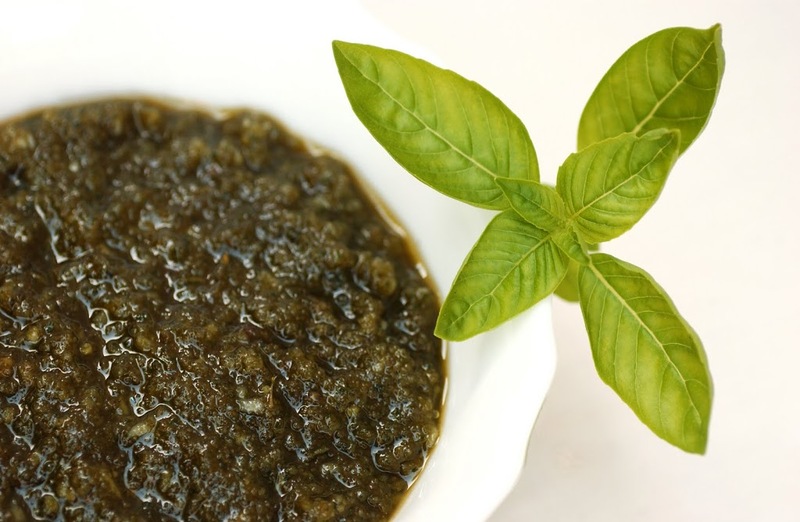 Combine basil leaves, nuts, garlic and Parmesan cheese and blend in a food processor until it becomes a smooth paste. Slowly blend in the olive oil (only taking a small amounts at a time) until fully incorporated. Season with salt and pepper. Cook spaghetti according to instructions. 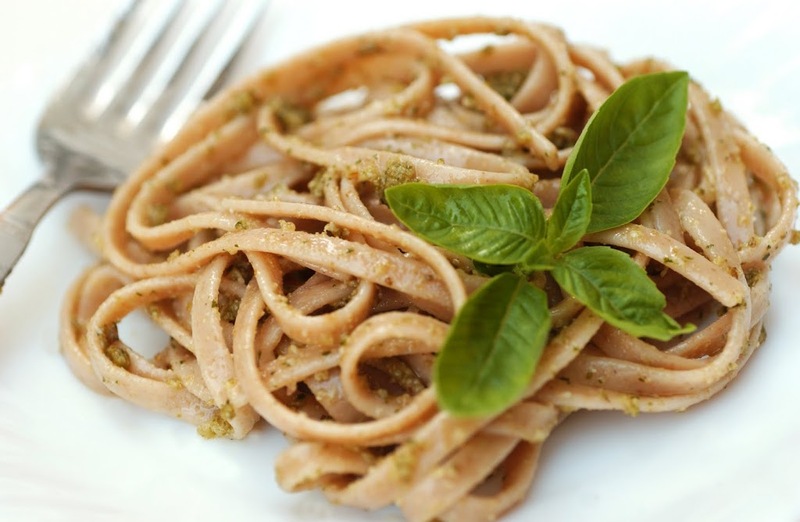 Drain and mix pesto and spaghetti until pasta is well coated. If you don’t use the pesto immediately, keep the pesto in an airtight container, covering it with a layer of olive oil to prevent it from going off. Keep in the fridge.